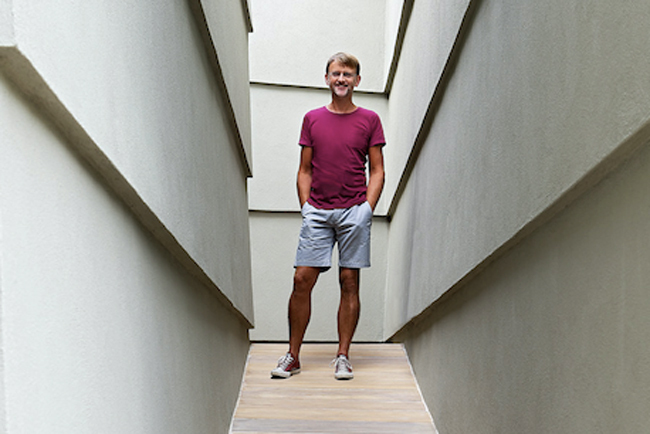 If everything goes according to plan, Brian Waring, the one-time chief marketer at Starbucks and Virgin Active, will have built himself a business as bespoke as some of the high-end craftware he's now selling. Having spent 27 years within big corporations, Waring, 54, chose to do his own thing, combining the lifestyle he cherished with a long-term passion for craft and craftsmanship. 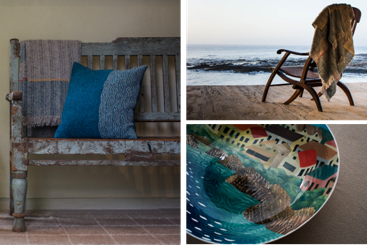 The upshot is Craft Editions which he founded last year and which in May set down its marker with the launch of its 2017 summer collection of handmade products ranging from baskets to porcelain tableware, leather and glassware from around the world. Not surprisingly, a lot of these offerings don’t come cheap. A summer blanket handwoven in the foothills of the Mourne mountains in Northern Ireland will set you back almost £300. Waring doesn’t demur from the suggestion that his happy hunting ground must be the Islington-dwelling yummy mummies eager to impress their friends with their eclectic tastes. Indeed, he acknowledges that the majority of his website clicks are coming from London and the well-heeled Home Counties. Nevertheless, Waring believes he’s tapping into what he perceives as a reaction against the 21st Century cult of fast fashion and people’s growing interest in well-crafted items and the stories behind those who make them. "They increasingly want things that are more individual and bespoke and that that are made by a real person," he says. So much so that he’s already being approached by customers commissioning him to get an item made to their specific requirements. It’s early days, of course, but the fact that his marketing consultancy work has been lessening as Craft Editions gets busier suggests to him that his on the right track. And he reckons his experience within Starbucks and Virgin, two organisations that know a thing or two about brand power and positioning, fresh thinking and fast movement, will stand him in good stead. "All that I’ve learned about marketing – from looking at marketing applications to doing brand positioning exercises – I’ve been able to bring along with me," he says. "In a company like Virgin you follow a standard process. It’s just that now I’m doing it on my own." Currently a one-man band operating out of his home in Ealing, West London, while pulling in the necessary expertise as he needs it, Waring (above) is encouraged by customer and media feedback thus far. "It takes two or three years to build a brand – it can’t happen overnight," he acknowledges. "That said, I don’t ever want the business to be of a scale that doesn’t allow me the flexibility and lifestyle I enjoy. At the moment, it doesn’t feel like work." It was this desire rather than any disillusionment with corporate life that made him cut loose. In fact, far from suffocating him, it was the entrepreneurial cultures within both Starbucks and Virgin that inspired him to go it alone, he declares. Nevertheless, his move seems a remarkable one when a look his CV before launching Craft Editions looks very much like that of a corporate lifer. A graduate of Trinity College, Dublin, he joined the then SmithKline Beecham in 1989, moving on to Virgin Entertainment and, later, to Starbucks as head of marketing and, for two years until December 2014, was Virgin Active’s chief marketing officer. His determination to have his business tailor-made for his lifestyle is reflected in the countries where his craftspeople are to be found – Ireland, where he was born, the UK, where he is based and South Africa, a place for which he has a special affection and currently visits at least three times a year. It was there on a three-month breather having left Virgin – "to take a break, chill out and have time to think" that he experienced his "lightbulb moment". It happened during a visit to the Western Cape where craftsmen are keeping alive the traditional skills of African basket weaving. "It was so inspirational," he remembers. "I could see a wonderful opportunity to tell their story. In fact, there are so many craftspeople working anonymously because average consumers have never heard about them." Indeed, Waring’s venture is underpinned by a strong idealism and a belief that those keeping old craft skills alive need to be recognised. These range from the wild-spun yarns from the looms of Mourne Textiles to the baskets of Design Afrika and the leather bags from Justin Oh’s Holborn studio. "Craft is re-surfacing and people are increasingly recognising skills that are in danger of extinction," he says. "A good example is one of my collaborators, a hand-weaving company in the West of Ireland. It has revived a skill that was almost dead 50 years ago." He adds: "One of the most important parts of what we do at Craft Editions is to tell the story. To truly appreciate the products we sell you have to understand the work that goes into creating them." Now Waring’s challenge is to press modern communication techniques into the promotion of such ancient skills. Social media is key to this along with a canny PR operation that can identify the key influencers. The featuring of the summer blanket in The Sunday Times home section as well as some positive coverage in World of Interiors has a been grist to the mill. Meanwhile, he is seizing the opportunity to be present at selected events where would-be customers can actually see the items on offer. "Within a couple of years I want to be launching two collections a year," he says. "My hope is that they won’t only be bigger but I’ll have reached a point where there’s such a build-up of demand that people will be asking about and anticipating them before they’re launched. I’m learning who my customers are, who is buying what and what marketing and advertising is working and what isn’t." As a man once used to overseeing multi-million-pound ad budgets, does he think he’ll ever hire an agency? Unlikely, he replies, stressing the need to cut his coat according to his hand-woven cloth. "I’ll make that decision if and when the time comes," he adds. "As a small businessperson I’m careful with every penny I spend." Happily for Waring, it’s the communication technology that’s not just enabling him to promote his business but helped keep his entry costs low while allowing him to run it in the most effective way. "Of course, there are some basic procedures you have to learn that you didn’t have to worry about within a big organisation with a large team around you," he says. "But it’s also a fact that the more accessible technology has become, the easier it is to run a business. I can check my inventory and see how my website is performing very easily. It’s all there on my mobile. There’s no need for a big office. I can just as easily work out of a coffee shop. And I’ve been able to launch with minimal financial risk." Today, having experienced his "lightbulb moment", it remains to be seen whether launching Craft Editions will prove to have been his watershed. Although he’s grateful for the way corporate life has equipped him to follow his chosen path he has no wish to return to a routine that might see him in the office at 6am and not leaving until 8.30pm. Above all, he doesn’t want to ever to regret not having seized the moment. "When I look back aged 70 I don’t want to remember a career spent exclusively within a big corporation," he says. "I don’t want to regret doing what I really wanted to do because I wouldn’t take a risk. Where will this journey take me? Heaven knows." "Trust your instincts. It was one of the most important lessons I learned at Starbucks and Virgin. Of course, you must do your research and all the necessary background work. But at the end of the day you must do what you feel is right. That’s the most powerful way of making a decision." "Start small and learn as you grow. Don’t try to get everything right at the beginning because you won’t. Grow organically and in a manageable way. See your growth stage as your research period. It’s better to get going rather than trying to get everything right from the outset." "Spend time on managing the cashflow. When concentrating on their P&L people often think too much about resources and costs and not enough about cashflow. But, in the end, it will be cashflow that either makes or breaks you. My investment decisions are always based on cashflow." "Tap into your network. You can pay for advice and expertise but you can also find this among your friends and colleagues who you’ll usually find will be delighted to help. I’ll always be grateful to the people who helped me. I don’t think I could have done what I did without them." "Momentum is everything. If something doesn’t work out learn from it and keep going. Don’t dwell on your mistakes and don’t over-analyse them.